The Madeira Beach Fire Department is battling a three-alarm fire at a 2-story home with multiple units in the area of 2nd Street East and Boca Ciega Drive in Madeira Beach. 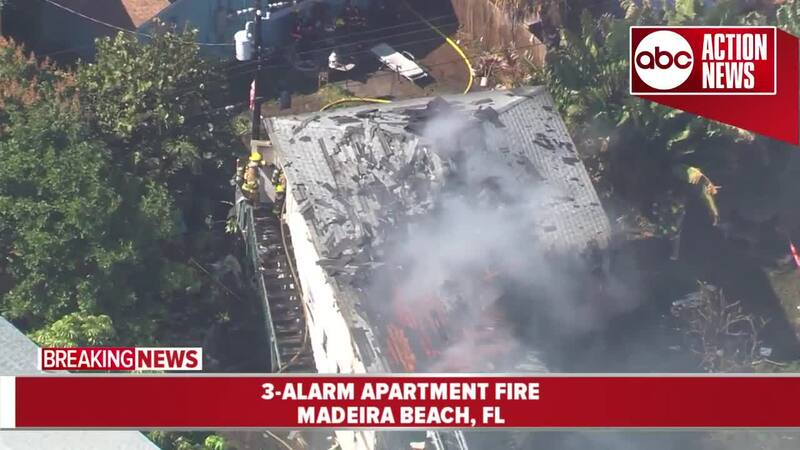 MADEIRA BEACH, Fla. — The Madeira Beach Fire Department is battling a three-alarm fire at a 2-story home containing multiple units in the area of 2nd Street East and Boca Ciega Drive in Madeira Beach. The structure was fully-involved when firefighters arrived on scene. One person was taken to the hospital. That person's injuries have not been released at this time. 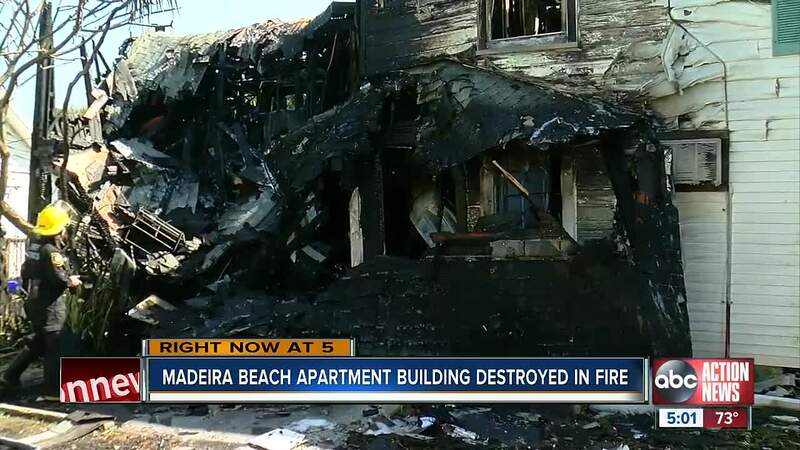 The building is a total loss, according to the Madeira Beach Fire Department. “My first thought was that I hope that there’s no one in that complex," said LaVonne Jungas. Lamon Long lives on the first floor and was sleeping until his dog Pinky woke him up. Rhonda Woodward is right next door. Her dog let her know there was trouble too. “I was like 'oh my God it’s so close to my house and the fence,'” she said. “I lost a lot of stuff, like clothes, shoes, money. But I can get that back. Life I can’t get back," said Long. Crews had to work to make sure the fire did not spread to surrounding buildings in the area. They got to the scene quickly because they were training just a few blocks away.